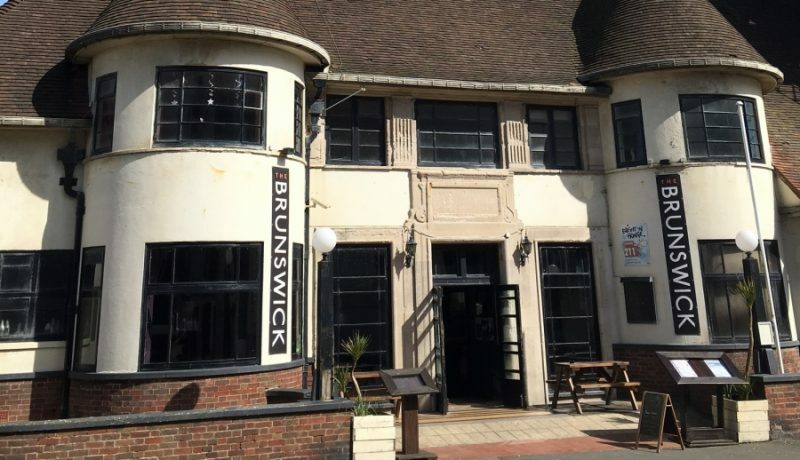 The Brunswick Music & Arts bar is one of Brighton & Hove’s favourite entertainment venues. It has hosted an impressive parade of UK and international acts; some of us even recall when Status Quo dropped in. The Brunswick is opposite Hove Lawns, between the Regency splendours of Brunswick Terrace and Adelaide Crescent. Directions are on our How To Get Here page. On arrival at HBTS, please register at the welcome desk, then pre-order your lunch if you’d like to eat in – at previous HBTS festivals, the majority of participants have chosen to have lunch on site. This is always very good value and it’s a great chance to chat with fellow HBTS attendees. Once your lunch pre-order is sorted, you can relax for a few moments, buy a hot or cold drink and enjoy the venue’s free Wifi. Our welcome meeting takes place in the main auditorium on the ground floor. This is also where our Beginners’ Workshops, Prize Draw, Masterclass and Evening Show take place. Our Intermediate Workshop and Break Out programme take place upstairs, while our Advanced programme is hosted in the cellar bar. You will be directed to your workshop venue after our welcome chat. The Brunswick staff are a huge part of what makes HBTS successful. Please treat them kindly, enjoy their service and help us maintain our very special relationship.